Keni Campbell | UAS Jul 20, 2017. The University of Alaska Southeast invites teachers and artists to “UAS 2017 Summer in the Rainforest: Teachers as Artists; Artists as Teachers,” a place-based learning experience exploring the creative core of both teaching and the arts. This event is provided in two sessions from July 24-29 and July 30- Aug. 4. Week one includes the Basic & Beyond Arts Institute and the Teaching Artists Academy, which are teaching intensive. Week two includes the UAS Indigenous Arts Institute, which is open to the community. Each session will provide a daily workshop taught by local instructors. Topics will include hands-on theater, Alaska Native art forms, visual arts, music, movement, digital media arts, and writing workshops. During the Basic & Beyond Arts Institute, teachers will learn how to apply brain research into the classroom and to understand how the arts increase student engagement and achievement. Participants will work on a final project–a detailed lesson plan that is part of a larger instructional unit that integrates the arts and reflects the use of local indigenous knowledge and art forms in K-12 classrooms. Artists participating in the week one Teaching Artists Academy will learn strategies on how to work effectively with students of all ages in varied settings with practice in brain research, lesson planning, curriculum integration, classroom management, communication, and teaching students with developmental disabilities. Instructors for the Beyond Arts Institute and the Teaching Artists Academy include artist, Ryan Conarro, instructor of education, Lynn Williams, Lorrie Heagy, Annie Calkins, and Roblin Davis. Hayes is just one of the highly-regarded instructors that will teach during the UAS Indigenous Arts Institute of the workshop. She will be joined by Lance Twitchell, assistant professor of Alaska Native languages, Lyle James, project coordinator and lead teacher for Goldbelt Heritage Foundation, and Tom Gamble, lead academic counselor for Goldbelt Heritage Foundation. Continuing education credits are also available to participants. Those who sign up for the Basic & Beyond Arts Institute will participate in the week two Indigenous Arts Institute. 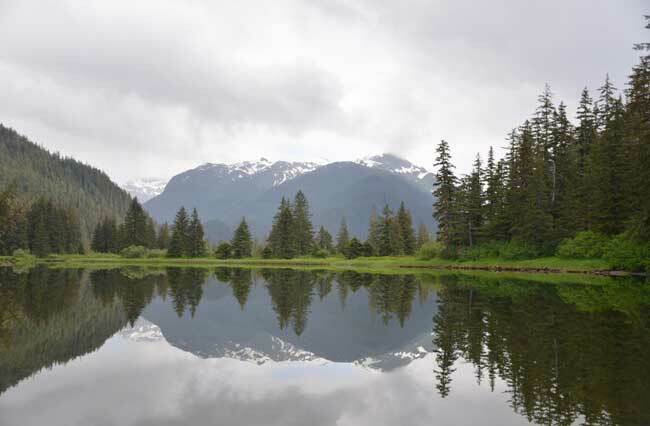 All course activities will take place on the UAS Auke Lake campus in Juneau. UAS 2017 Summer in the Rainforest is a two-week, two part inaugural event conducted by UAS in collaboration with the Alaska Arts Education Consortium, Sealaska Heritage Institute, Juneau Arts and Humanities Council, JSD Artful Teaching Program, Juneau Arts for Any Given Child project, and Goldbelt Heritage Foundation. Registration is open until July 24.